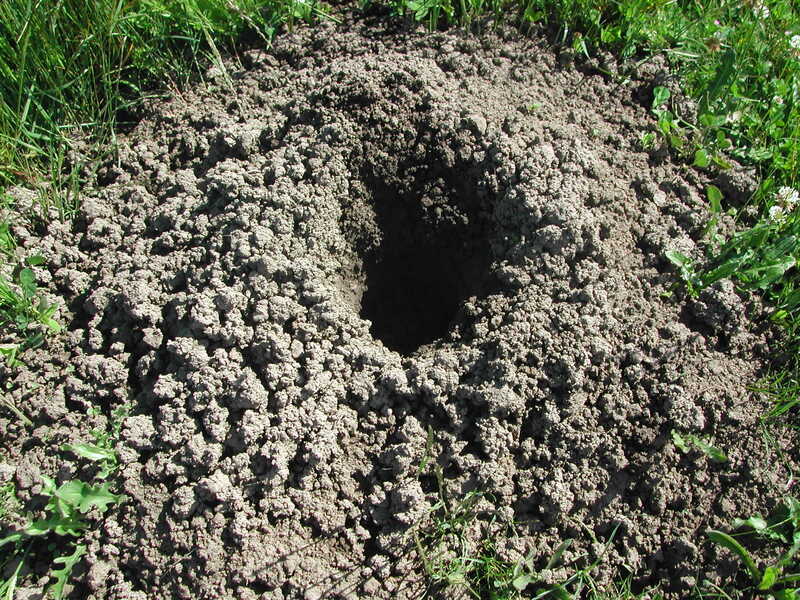 When we first walked the fields of our farm last winter, we noticed mounds and holes in the ground and we thought: moles and voles. That was what we had on Sauvie Island and they are pretty common, so of course, we would have them here. It wasn’t until late winter that I noticed something new pop up; a large mound, with a big hole at the top, that almost looked like a volcano. I was hoping it wasn’t what I thought it was: gophers. It was gophers. They started slowly, but pretty soon, those mounds were popping up all over. We went ahead with our field preparations and planting and waited to see what would happen. It didn’t take too long before holes appeared in our newly tilled and planted fields. It wasn’t too bad at first, not too much damage to the plants. But, it kept getting worse. 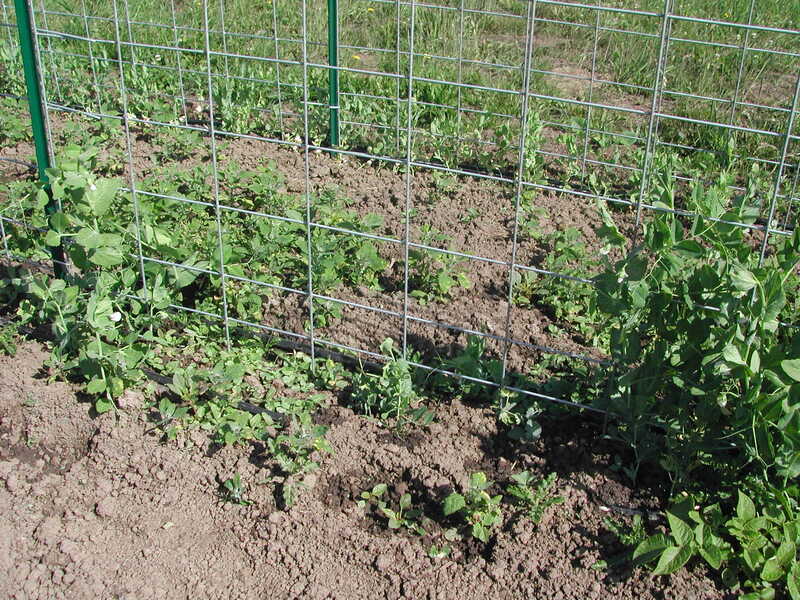 When patches of peas and kale got wiped out, I knew we had to do something. Luckily, I had a tool. Several years ago, I bought a Rodenator. We didn’t end up using it much on Sauvie Island, as it is quite loud and our neighbors were close by. Now, the noise is not an issue and we are ready to put it to use. The Rodenator sends a mixture of oxygen and propane down the tunnel of a burrowing animal and then ignites it for a small explosion. The force of the explosion kills the animals in the tunnel/burrow. Not the best pictures, but the Rodenator is in there, next to the blue tub. Last week, Steven’s dad came out to help and gave the Rodenator a try. We are waiting to see what happens next, if it will make a difference. 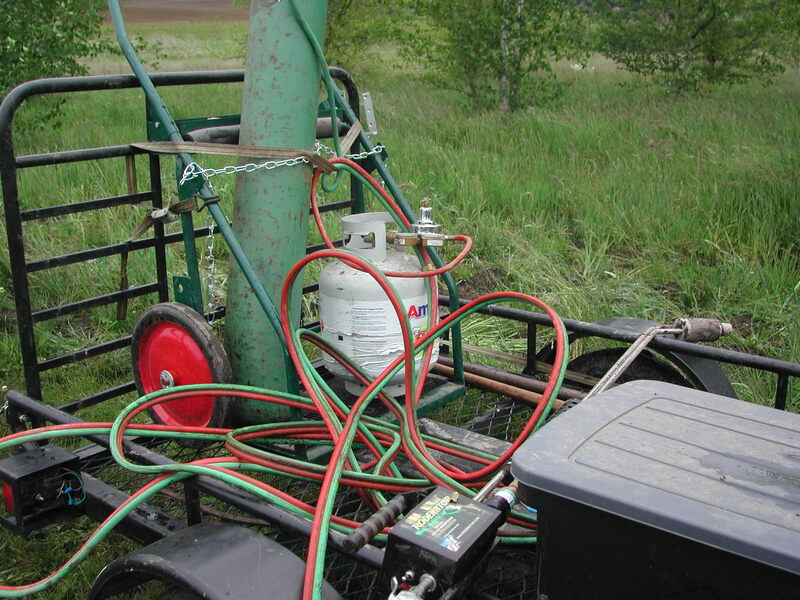 We know it will take a continuous effort with the Rodenator to keep the gophers under control, but I hope it really does work! I really hope your Rodenator works also because I want more of your delicious veggies! Keep us informed! Having a farm certainly brings you face to face with reality and forces you to make some harsh decisions.